Gallipoli, courtesy of Kerim Bayer. For a full resolution map click here. In honor of Anzac Day, a famous Turkish map/drawing of the first allied naval assault on the Dardanelles. 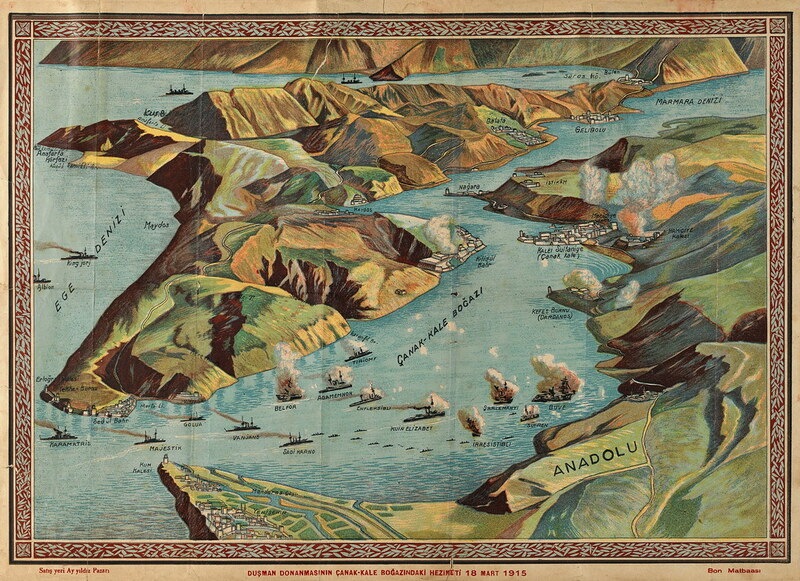 The landing commemorated by Anzac day occurred after this attack was repelled and the British concluded it would be necessary to capture the peninsula itself in order to disable its defenses and enter the Sea of Marmara.